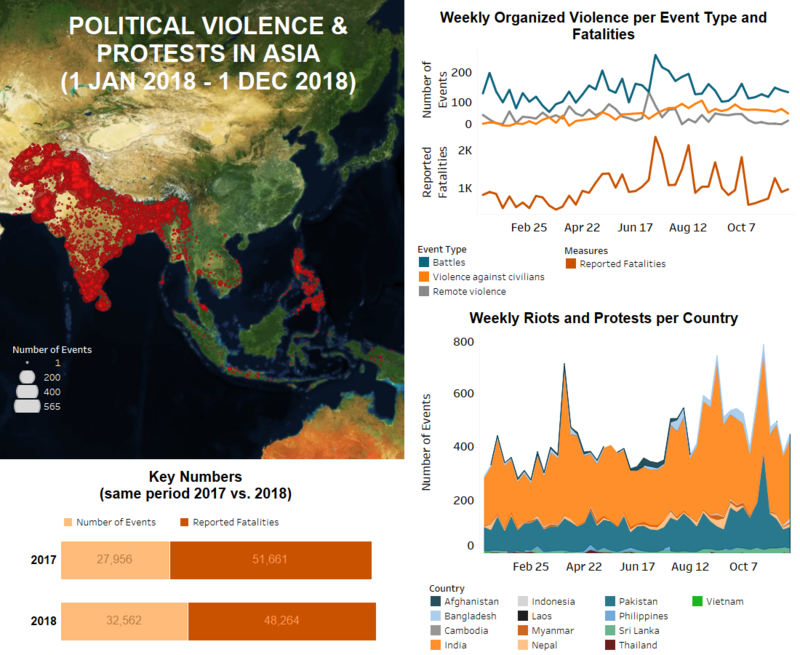 Last week, in South and Southeast Asia, there was an increase in demonstrations while organized violence remained static overall. 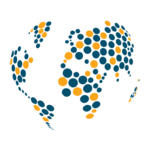 The week was marked by two Taliban attacks on foreign forces in Afghanistan, large-scale farmer protests in India, a surge of pre-election violence in Bangladesh, and a significant increase in separatist violence in southern Thailand. In Afghanistan, there was a slight increase in violence between militant groups – mostly involving the Taliban, but also the Islamic State (IS) – and Afghan security forces throughout the country. The heaviest fighting occurred in the provinces of Helmand, Ghazni, and Nangarhar, the latter of which being IS’ last major stronghold in Afghanistan. Additionally, there were two major Taliban attacks on foreign forces last week. In the first, NATO officials reported that three US soldiers were killed, and three were injured by a Taliban IED attack near Ghazni city; a US contractor was also injured. This number represents a large percentage of reported US fatalities so far in 2018, which now stands at 12. In Kabul city, a Taliban assault on the compound of UK-based security contractor G4S reportedly resulted in at least six fatalities and 32 injuries, several of which were civilians. The assault began with a vehicle-borne suicide attack (SVBIED) outside the facility and was followed by a gun battle between militants and the private security forces inside. In Pakistan, while overall levels of organized violence decreased, attacks on security personnel continued in the North Waziristan district of Khyber Pakhtunkhwa province. Demonstration levels remained static. Right-wing groups managed to drum up only sparse support for the mass-protests scheduled against the Supreme Court verdict acquittal of a Christian woman on blasphemy charges. Support for the protest dwindled following the previous week’s arrest of leaders of both Tehreek-e-Labbaik Pakistan (TLP) and Tehreek-e-Labbaik Ya Rasool Allah (TLYRA). Meanwhile, protests and riots were recorded during anti-encroachment drives against traders and shopkeepers who illegally built their establishments by the Karachi Metropolitan Corporation (KMC). Political parties such as Jamaat-i-Islami (JI) were on the forefront of the anti-encroachment demonstrations, alleging the operation is biased towards poor shopkeepers and traders (Dawn, 1 December 2018). Last week, in the contested Kashmir region, only one incident of cross-border violence between Indian and Pakistani state forces was reported. In India’s state of Jammu and Kashmir, clashes between militants and state forces continued to result in high numbers of recorded fatalities, including 14 militants, two soldiers, and two civilians. The deadly encounters triggered shutdowns, protests and riots across the Kashmir valley. Elsewhere in India, post-election violence between state forces and Maoist rebels continued in Chhattisgarh state, reportedly leaving 11 rebels and two members of state security forces dead (for more on this, see this past ACLED infographic). Maoist attacks on state forces and civilians were also reported from the states of Bihar, Andhra Pradesh and Madhya Pradesh. Several large-scale protest movements took place in India last week. Farmer organizations held protests across the country over various issues including their long-standing demand for a loan waiver. The largest protest gathering reported took place in the capital, New Delhi where thousands of farmers from various states – including Andhra Pradesh, Gujarat, Madhya Pradesh, Maharashtra, Tamil Nadu, West Bengal and Uttar Pradesh – rallied in the streets. They demanded that a special session of Parliament on agrarian crisis to pass two bills – one to secure a one-time full loan waiver, and another to implement long-term institutional measures to ensure farmers are not pushed into debt again (The Economic Times, 30 November 2018). Additionally, tea estate workers staged protests in several districts of Assam state, demanding the implementation of a new wage agreement and hike in daily salaries. In Mumbai city, thousands of people belonging to the Maratha community took out a protest march in support of their demand for the immediate implementation of quota reservations in jobs and educational institutions for the community. In Bangladesh, the ongoing process of candidate nominations by all political parties for the upcoming general elections in December 2018 turned more violent last week compared to the two previous weeks. Various incidents of inter-party clashes as well as factional infighting were recorded from across the country, reportedly leaving six people dead (for more on political violence in Bangladesh, see this past ACLED piece). In Nepal, activists continued to take to the streets in support of various demands, including the ongoing stir seeking justice for Nirmala Panta, the minor girl who was raped and murdered in July 2018. Last week in Sri Lanka, the ongoing government crisis further intensified (for more on this, see this past ACLED infographic). The Parliament voted to block the Prime Minister’s Office from spending government funds. Lawmakers opposing disputed Prime Minister Mahinda Rajapaksa were able to pass the motion as lawmakers loyal to Rajapaksa boycotted Parliamentary proceedings for the fourth day (AP, 30 November 2018). Meanwhile, Chief of Defense Staff (CDS) Admiral Ravindra Wijegunaratne, the highest-ranking military official in Sri Lanka, was arrested over his involvement in a high-profile case of abduction and murder of 11 Tamil youths between 2008 to 2009. A navy officer and several journalists were assaulted by his military entourage in the days leading to his arrest. This development came as Tamils in the North celebrated Maaveerar Naal on 27 November to remember those who died during the Civil War. Remembrance celebrations were met with incidents of riots, protests, and even armed clashes in several areas. Separatist violence in southern Thailand increased significantly last week. The violence across Songkhla, Narathiwat and Yala provinces led to a reported six fatalities. On 25 November, in Songkhla, two defence volunteers and an assistant village head were reportedly shot and killed by suspected separatists. Later in the week, on 29 November, a Muslim woman was shot and reportedly killed in front of her home in Narathiwat. A tambon chief in Yala was also reportedly shot dead by suspected separatists while returning home from a Mosque. The next day, border patrol police in Yala were in a shootout with the same separatists, resulting in the reported death of one. Clashes continued between the Restoration Council of Shan State/Shan State Army-South (RCSS/SSA-S) and Shan State Progress Party/Shan State Army-North (SSPP/SSA-N) in Myanmar last week. Despite efforts by the Shan Nationalities League for Democracy (SNLD) to broker peace between the two warring Shan groups, clashes have been ongoing (The Irrawaddy, 27 November 2018). The SSPP/SSA-N has aligned with the Palaung State Liberation Front/Ta’ang National Liberation Army (PSLF/TNLA) to fight the RCSS/SSA-S, which continues their campaign northward (for more on this, see this recent ACLED piece). The RCSS/SSA-S recently announced that it would pause its participation in the meetings of the implementation body of the Nationwide Ceasefire Agreement (NCA). Rallies in support of the Burmese military continued in Myanmar with a rally in Lashio, Shan state being held last week. Protesters in Sittwe, Rakhine state also demonstrated against the repatriation of Rohingya refugees. As well, in Sittwe, and later in Kyaukphyu, the Arakan Natural Resources and Environmental Network marched, calling for control over the natural resources in Rakhine state. The anniversary of what is regarded as the birth of the West Papua nation on 1 December 1961 led to many demonstrations across several provinces in Indonesia. Demonstrations in Surabaya city were met with violence from members of mass organizations who attacked protesters with sharpened bamboo sticks and bottles; several protesters were injured. Across the provinces, police arrested many demonstrators. In Cambodia, ethnic Phnong villagers staged a demonstration in the Busra commune calling for an end to the sand-dredging being done in a wildlife sanctuary. The villagers seized the dredging machines used in the operation. Cambodia’s sand trade with foreign countries has led to many protests in the country over the environmental impact of sand-dredging operations on local lands (Radio Free Asia, 26 November 2018). No political violence or protest events were recorded in Vietnam or Laos last week.